The MSA Podcast Production is a studio series designed to highlight artists and creative thinkers. This new project incorporates stories, music, and news in a format that can be played directly from our web site or downloaded automatically using your favorite podcast player. Using everyday technology such as smartphones, tablets and portable recording equipment, the MSA Podcast Production team members can conduct interviews with guests at any location. 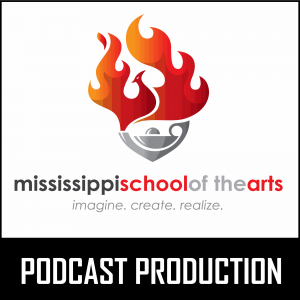 The MSA Podcast Production is a collaboration between the MSA Technology Department and participating students at Mississippi School of the Arts. 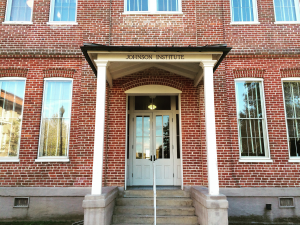 All podcasts are recorded and edited by on-campus team members. The content of podcast episodes is copyright Mississippi School of the Arts and guest artists/interviewees under agreement. Podcasts may be downloaded and used for personal and educational purposes only. The editing and redistribution of any MSA podcast content for commercial purposes is strictly prohibited.